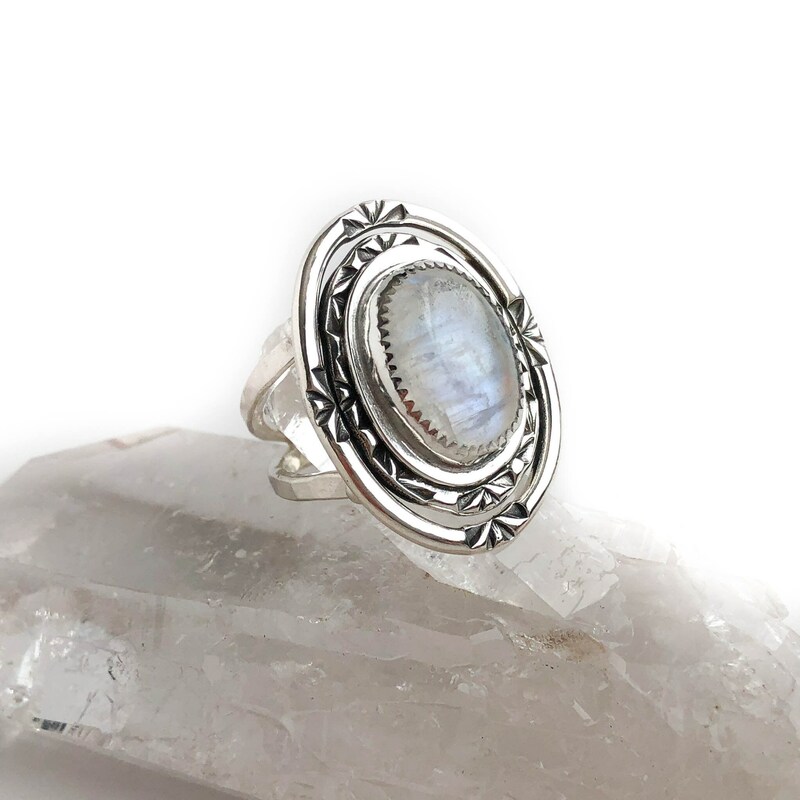 * Because of our handmade process and the fact that we use genuine, natural gemstones you can expect slight variations which just add to the uniqueness of your ring. 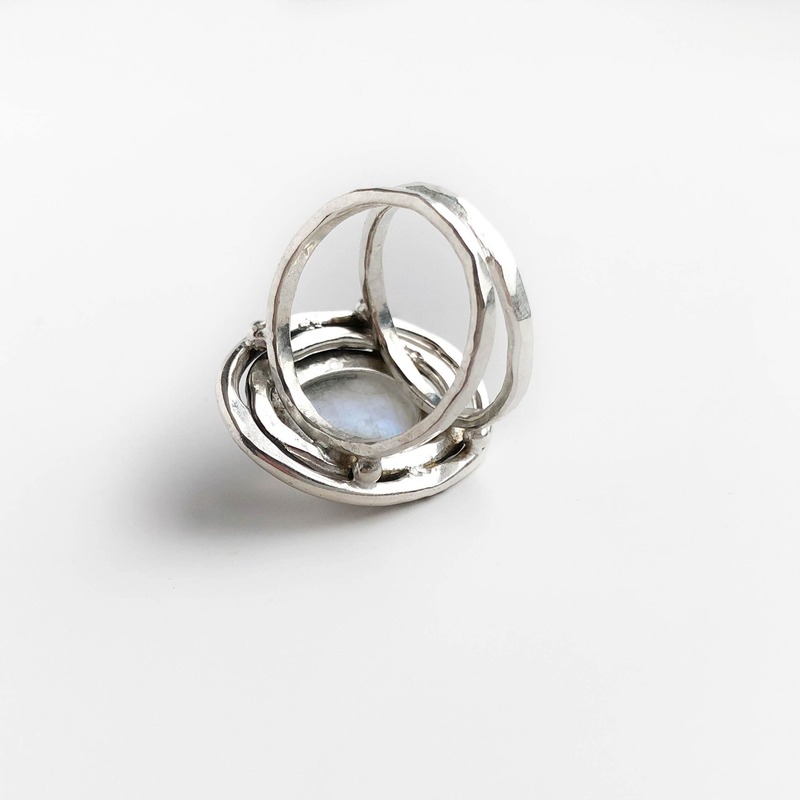 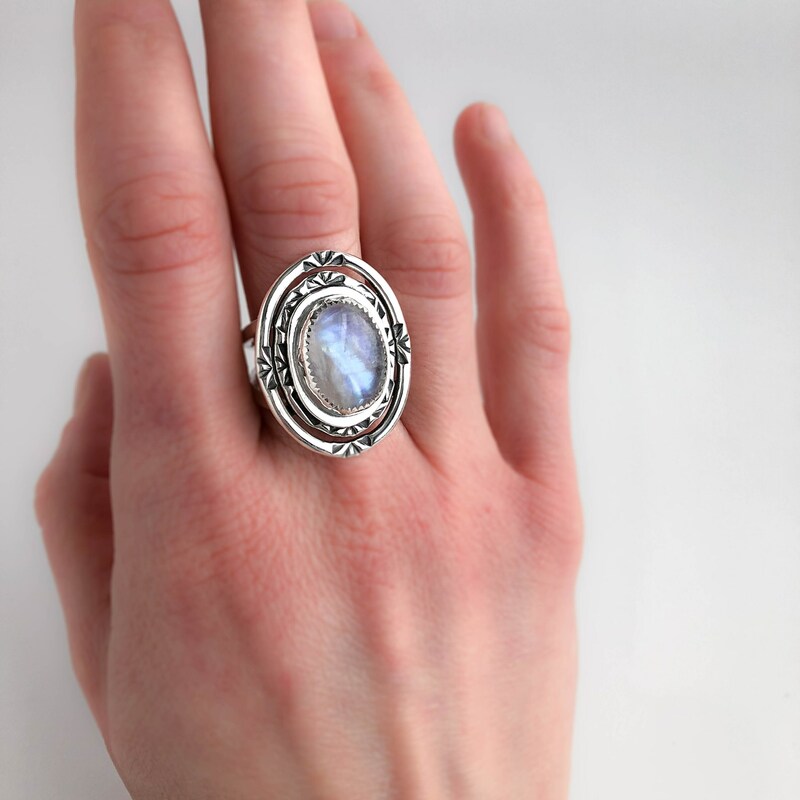 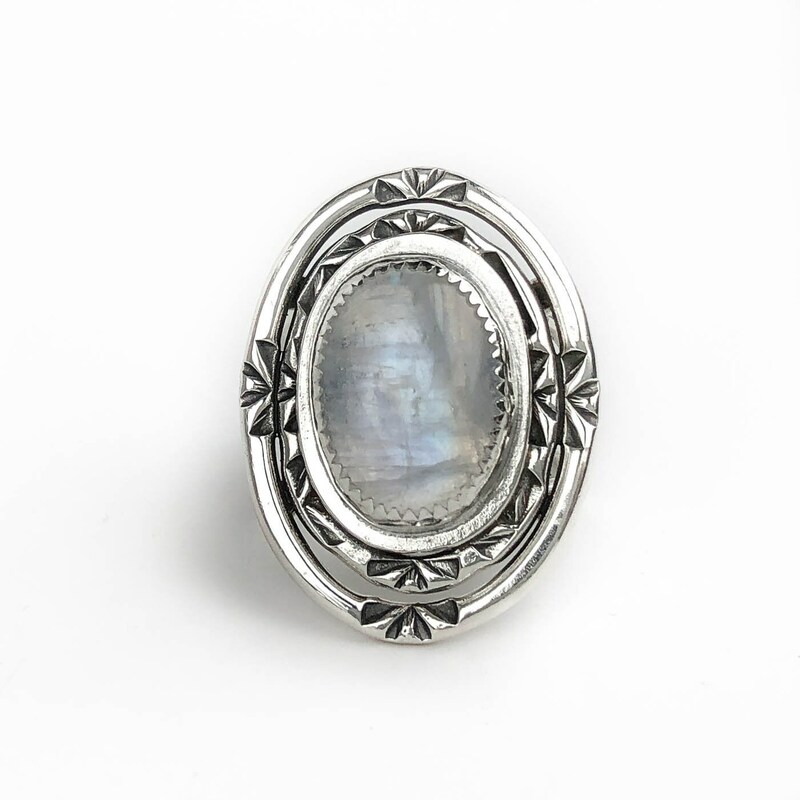 This rainbow moonstone statement ring is custom handcrafted in your size. 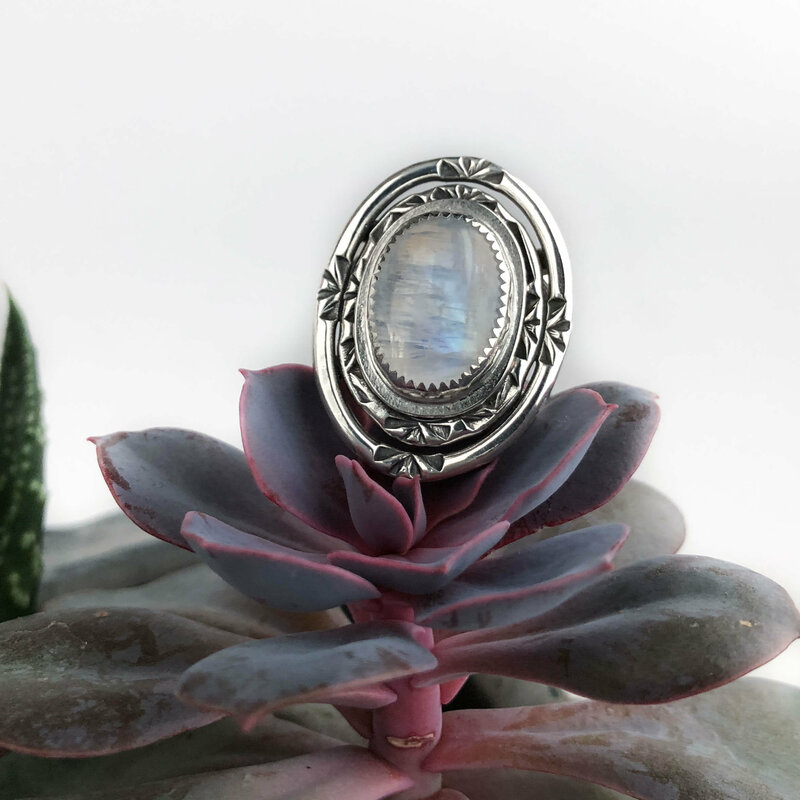 It's handmade with solid sterling silver and a top quality rainbow moonstone gem with a gorgeous blue flash across the surface. 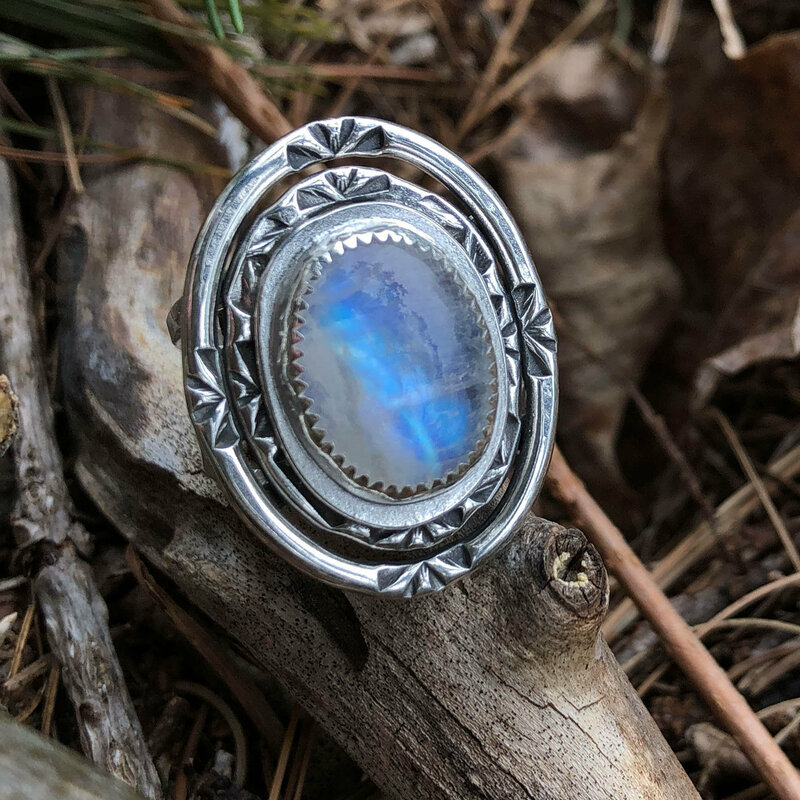 Each ring is individually made from scratch, the design elements are hand stamped and each stone is a one of a kind so your ring will be a unique creation made just for you! 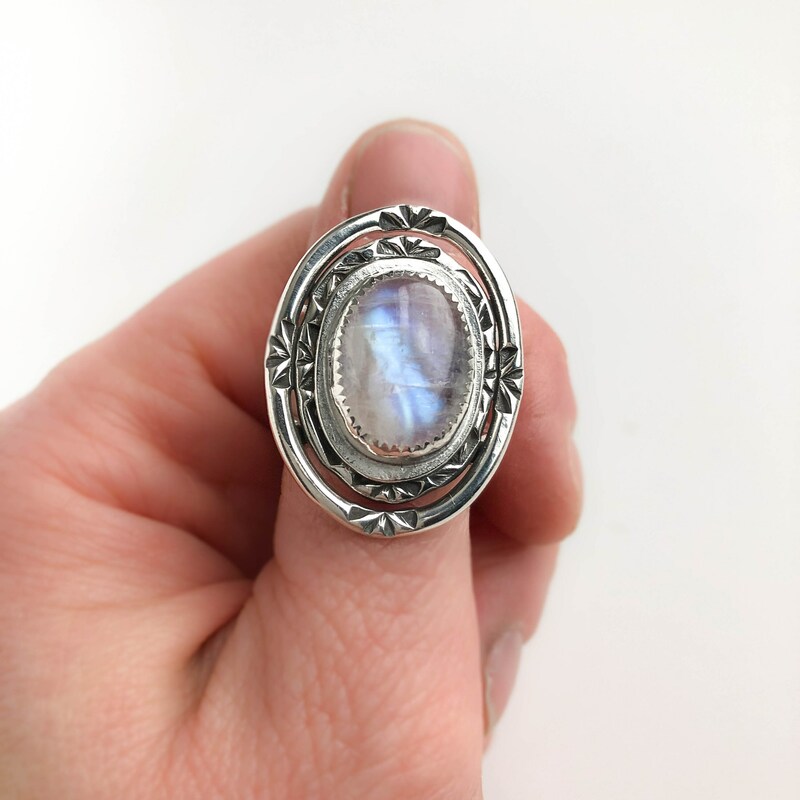 Love this stone-wonderful blue flash and very comfortable style, with a unique design on the silver-looks terrific with the pendant as well. 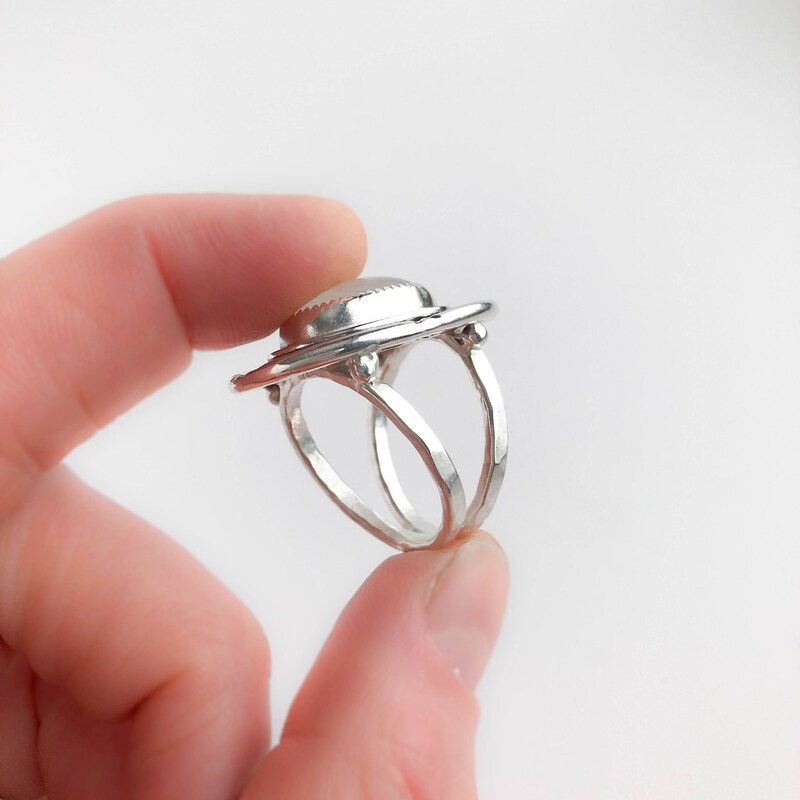 As always quick shipping, beautiful packaging, including a polishing pad and an anti-tarnish bag-thank you so very much!